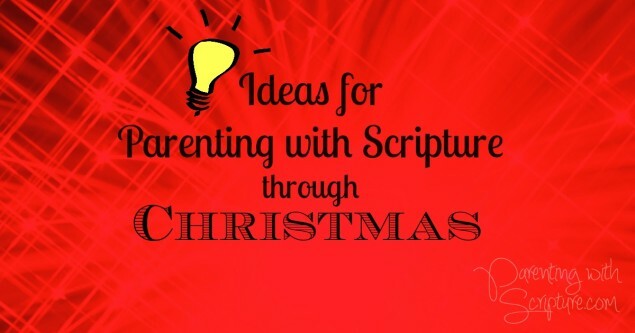 Want fun and meaningful ideas to bring parenting with Scripture into the holiday season? Scroll through these ideas to see our family favorites! And, don’t forget to consider Parenting with Scripture: A Topical Guide for Teachable Moments when planning your gift list for friends and family.